This article gives you complete details about Sebastian Vettel who is the latest champion in Indian grand Prix. More details about the biography and profile of Sebastian Vettel are quoted in this article. Sebastian Vettel is one of the best formula one racer in the world. He is a German formula one racer who is currently racing for Red Bull team. Sebastian Vettel is the latest Formula one champion and his latest championship is Indian Formula one championship. Sebastian Vettel started his racing career for Red bull team from the year 2009 year onwards and he is the formula one champion in the year 2010 and 2011. In 2009, Sebastian Vettel became the youngest runner up in formula one championship. Sebastian Vettel was born in the year 1987 July 3. 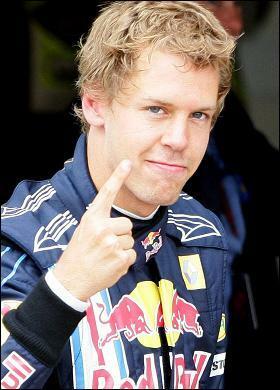 Sebastian Vettel was born in Heppenheim, West Germany. Sebastian Vettel started his racing career in 2007 in United States Grand Prix. His first win was in 2008 Italian Grand Prix. He has got total career points of 755. Sebastian Vettel started his junior career in the year 1995 with Kart racing. Sebastian Vettel was a great fan of German football team and his childhood heroes were Michael Schumacher, Michael Jackson and Michael Jordan. His last major win was 2011 Indian Grand Prix. More details about the profile of Sebastian Vettel are given below. congratulations Sebastian Vettel !that was a great win. In this world every thing first will always be treasured .Vettel may not be anywhere close to matching Michael Schumacher's record as of now, but he is the winner of India's first grand Prix F1 race ,that is what every f1 lover in India will remember him for.Come next year winners will come and winners will go but Vettel's name is etched on top.chandok and karthikeyan are you listening ? I am sure your day will come.